Preview: MadCatz To Reshape The State Of Arcade Sticks? It is no secret that fighting games just feel much more natural and playable with a good arcade stick. But with every new console generation new sticks have to be obtained to work on the new systems. This generation of consoles is no exception, and it doesn�t help that the Xbox 360 controller has what may be considered a broken directional pad. So fighting game enthusiasts turn to arcade sticks to suit their needs in these games. While there are a few options for arcade joysticks out there, there is one thing that cripples those of us who love the old arcade titles. For whatever reason, Midway left off the ability to re-map the game�s buttons from Mortal Kombat 2 for the PlayStation Network and Ultimate Mortal Kombat 3 for the Xbox Live Arcade. Unfortunately you are stuck with the default layout, which maps out strangely on most arcade sticks. So people have resorted to expensive custom made sticks from companies like ArcadeInABox.com or doing warranty voiding modifications of their sticks. The custom sticks can be a bit more flexible, but are really on the high end of the price scale and low on features available to the larger licensees of Microsoft and Sony. Finally a major player has stepped up to the plate to offer what we hope is going to fill this void with an affordable option for a great and flexible fighting stick. 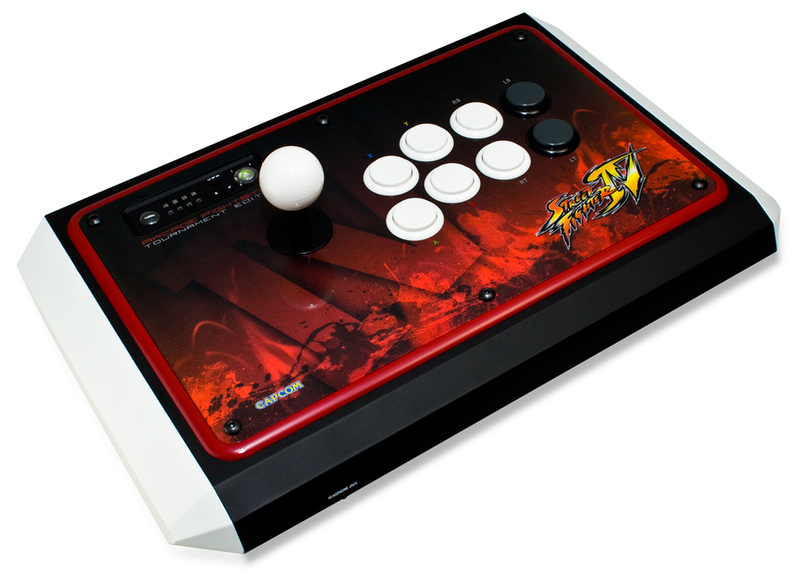 MadCatz recently showed off their upcoming line of fighting sticks for Street Fighter IV at CES last week. The main difference between MadCatz' fighting sticks and other mass produced sticks on the market, is that MadCatz is trying to solve all the problems of game incompatibility, despite the massive Street Fighter IV graphics plastered all over the stick itself. First off, to solve remapping restrictions, MadCatz is allowing you to open it up and remap the controls via �30mm quick connect buttons� without voiding your warranty. I�m sure you�d be able to even change what buttons are used here as well if you see fit with relative ease. To further compatibility or versatility, the joystick itself can also be switched to act as either the directional pad or the analog stick. MadCatz was smart in the layout design choices they made. To avoid accidental in-game interruptions they relocated the Start/Select/Back buttons, and also allow you disable the top-mounted PS3/Xbox 360 buttons. MadCatz finally rounds out the features with independently configurable Turbo controls for each button, which could be helpful for some fighting games. 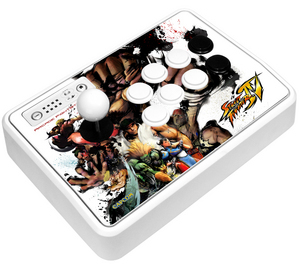 The FightSticks will retail for $69.99 for the PlayStation 3 and $79.99 for the Xbox 360. There will also be a higher priced Tournament Edition FightStick that will cost $149.99 for both consoles. This stick will be for the serious competition fighter as it comes with the same Sanwa joysticks and buttons used in the arcades today, which the regular edition lacks. Add in some serious weight to give it a more sturdy feel, and a nifty cord storage compartment and you see why this one costs almost double the regular FightStick. MadCatz is also releasing some nice looking pads, dubbed the FightPads, for those not wanting the arcade stick, but still want a good directional pad to pull off your special moves with ease. It will also retain the turbo functions found in the FightSticks, but doesn�t appear to have any of the button remapping abilities the stick has. 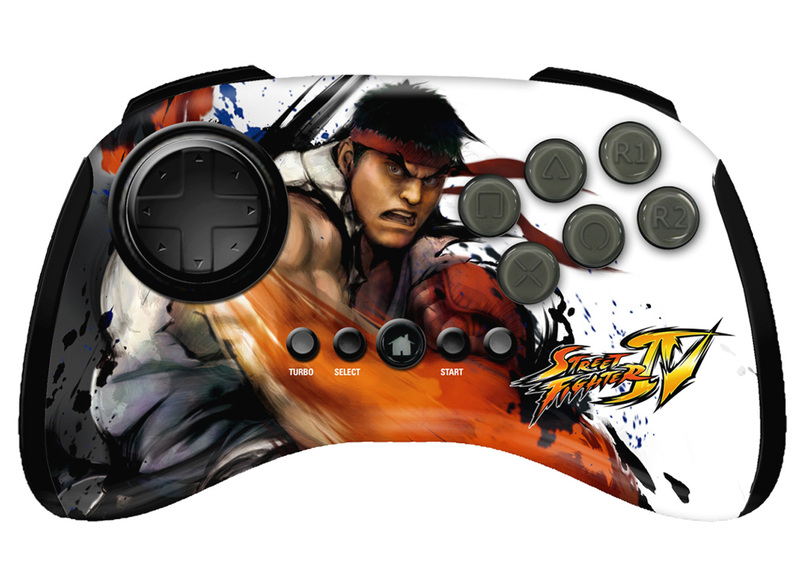 These are available with many different faces, all various Street Fighter IV characters, and will run you only $39.99. These products will all release late next month, on February 20th, along with the release of Street Fighter IV for both the Xbox 360 and the PlayStation 3. We hope to get our hands on them sometime soon to give you all a full review. You can pre-order them today via the product links above or by visiting The Realm of Mortal Kombat Store today!